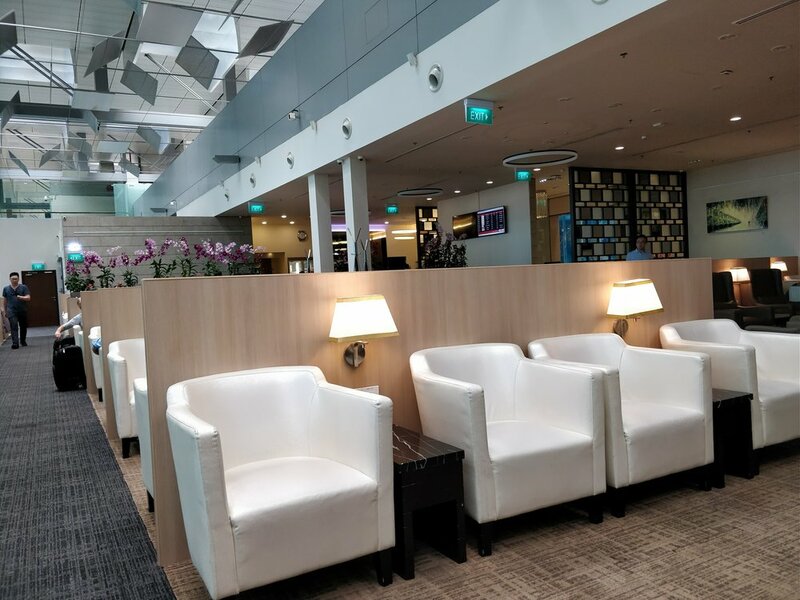 Singapore Changi International Airport has three SATS Premier Lounges. The lounges are located in Terminal 1, 2, and 3. 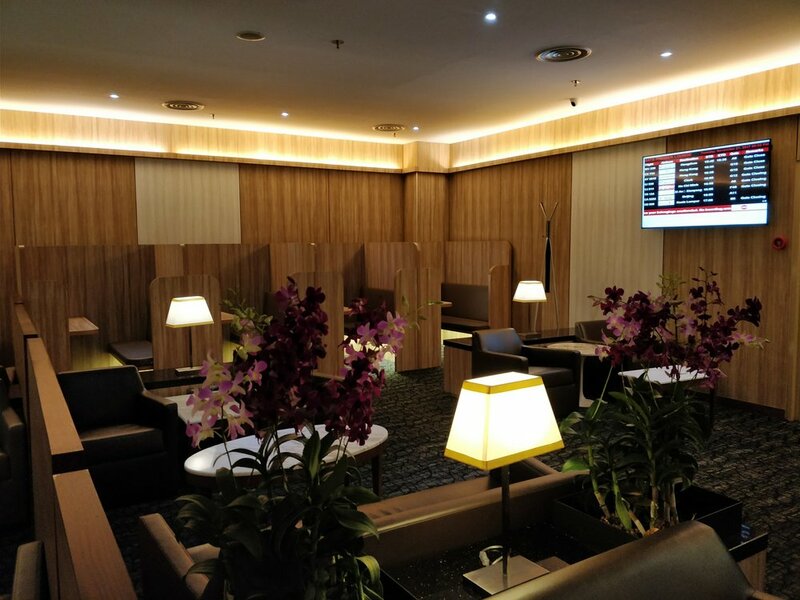 Each lounge is located upstairs in the Terminal's respective lounge area. The SATS Premier Lounge in Terminal 2 won the Priority Pass 2017 Asia Pacific Airport Lounge of the Year Award. The SATS Premier Lounges are part of the Priority Pass network. The number of guests and admission fees are dependent on the Priority Pass plan your credit card provides. The lounge is also part of select airline networks if you have status. 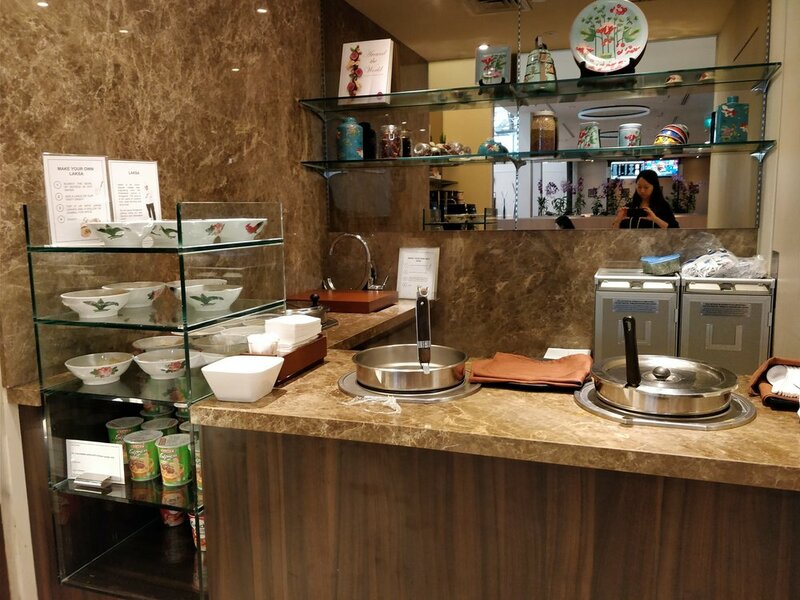 Each lounge has a generous buffet spread with local dishes and DIY laksa noodle bar. Local dishes include stir-fried noodles, fried sea bass, mushroom pies, chicken, and vegetables. The lounge in Terminal 1 is spacious with plenty of seats and outlets. One of the best parts of the lounge are the massage chairs that offer free 10-minute massages. The lounge is smaller compared to the lounge in Terminal 1, and the food offerings are generally the same. Power outlets are available between every seat. Business booths are available and equipped with a Samsung Galaxy View for you to surf the web. My favorite part of the lounge is the DIY laksa bar. And of course, can't forget about the private room with two massage chairs. If you're flying business or first class, a private VIP area is available. The SATS Premier Lounge in Terminal 3 is my personal favorite because of the open layout. Each seat is equipped with a power outlet and you can enjoy views of the runway. Two massage chairs are available in the lounge. Business center booths with computer are available for use. The food selection is consistent with the other SATS Premier Lounges.